Technology has come a long way since the beginning of the combustion engine. Carburetors, air cleaners, pistons and other engine parts were considered high tech at the beginning of the 20th century. The advancement with state of the art technology that is involved with motors today is impressive. Since the dawn of computers and the digital age, computers are finding themselves more and more involved with how a motor runs. These intelligent technologies that can be found with new motors today are involved with almost every aspect of the vehicle as well. Well known car companies such as Chevy are taking steps every year using technology to impact their line of vehicles. Not only do car companies use computers and other types of technology in their vehicles, many aftermarket parts have also been on the scene. Out of all the aftermarket technology products that are available, performance chips and programmers are the most well known enhancements that can be made to any vehicle. 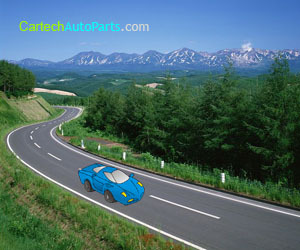 Each performance chip or programmer is manufactured to work with specific makes and models of cars, trucks and SUV’s. Chevy programmers are designed specifically to enhance the performance of Chevy vehicles. There are many different types of Chevy programmers on the market that control a wide range of certain functions. Performance chips and programmers allow adjustment with speed limiters, torque, speedometer calibration, the time of ignition and even diagnostics. Specific altercations made to a wide range of these functions are commonly used for higher performance and better gas mileage. Chevy programmers are also designed to allow the owner to fix any error codes within the computer system without taking their vehicle to the mechanic’s shop. Being able to fix error codes at home without relying on a mechanic not only saves the owner money, the programmer also will end up paying for itself in the long run. Most mechanics use computers and other technology to diagnose error codes or other problems that a motor may have. Chevy programmers such as an air to fuel monitor allow for adjustments for better gas mileage. Most are manufactured with LCD screens that can be mounted inside the vehicle for live monitoring. Drivers who want to monitor their gas mileage can easily do so by reading the accurate air to fuel ratio numbers the unit provides. There is room for adjustment between both performance and fuel efficiency depending on what is desired by the driver. These devices are highly accurate and provide complete control with the fine tuning that is involved with air to fuel ratios. Another type of Chevy programmer that is popular with Chevy owners is a power programmer. Power programmers give the driver the option to utilize the full potential of their vehicles gas mileage. It is made specifically for better gas mileage performance. The amount of benefits a Chevy owner will see with performance chips and programmers is extremely impressive. Other types of Chevy programmers can increase horsepower as well. These programmers are also manufactured with USB ports that allow for other device connections such as laptops or USB drives. This is important when an update is made available online for any specific device. Chevy programmers update their software through either a laptop connection or USB connection. The installation is fairly easy. Chevy programmers also allow the driver to make on the go adjustments to their system while driving. These adjustments become very important when towing trailers or other heavy equipment. The adjustments can be fine tuned to raise the over all performance and gas mileage for trucks that are operating under load. Chevy programmers also allow for adjustments for high altitude environments. Devices such as Chevy programmers and performance chips not only provide better performance, they help the owners save money in gas and tune ups.